Welcome to the Old House reader service Web site. Use these pages to quickly find and request free information on the products and/or services found in the pages of Old House. You can ask companies to provide you with more information or link directly to their web site. About Old-House Online: This site is devoted to period-appropriate decorating, furnishing and design. 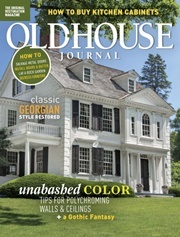 Old-House Online offers inspiration and advice through photos of outstanding period-inspired interiors, educated guidance and references, and articles from Old-House Journal, Old-House Interiors, Early Homes and New Old House. The Products & Services Directory offers a compilation of the best products and companies in old-house restoration.